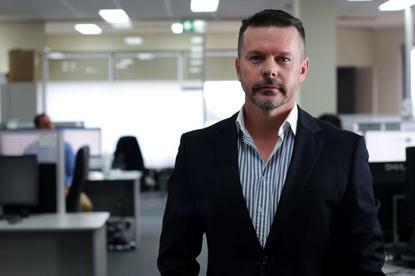 Western Australia-based technology services provider, Cirrus Networks (ASX:CNW), has secured two integration projects with “leading organisations” in the resources and education sectors. For the first contract, worth $2.1 million, Cirrus took advantage of its expertise with Cisco and Pure Storage for a next generation network solution and reference architecture. Specifically, the solution assists in the provisioning of the client’s automated haulage system, delivering performance and reliability. The second contract, worth $1 million, is for a hyper converged compute solution that will be implemented in the customer’s research data centre. The high performance computing cluster for research data sequence workloads is based on Cisco’s Hyperflex hyper converged environment and will provide self-service environment for research groups. In September, Cirrus won a $1.4 million contract for disaster recovery and services with the Pilbara Ports Authority (PPA). The contract includes the implementation of a business continuity and disaster recovery solution across all PPA sites in Western Australia. The three managed services contracts in the first quarter of the 2018 financial year add to $4.5 million together. According to Cirrus, when the contracts become operational, they will add $150,000 revenue per month to the company. Cirrus managing director, Matt Sullivan, said those are significant contracts for the company. “This success highlights our position as a leading provider of technology solutions to higher education and resource sectors," Sullivan said. "It recognises our strong partnerships with technology vendors along with the high quality professional services staff we have delivering those solutions." Following the PPA contract win, Cirrus also announced a data storage contract worth $900,000 with Deakin University in Victoria, reinforcing its position within the higher education sector. Cirrus closed the 2017 financial year with an underlying net profit to $751,000 and its revenue was up 176 per cent to $53.9 million from $19.5 million in the previous year. In April, the company acquired Victorian IT solutions provider, NGage Technology Groupfor a total of $2.5 million.